Find out which side of the scale you want to be on. 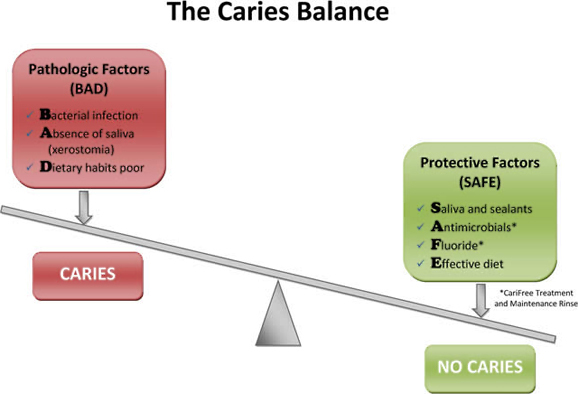 Dr. John Featherstone of University of California, San Francisco School of Dentistry introduced the concept of the Caries Balance in 2002. The concept is that dental health can be viewed as a balance of healthy or protective factors and disease or pathogenic factors. 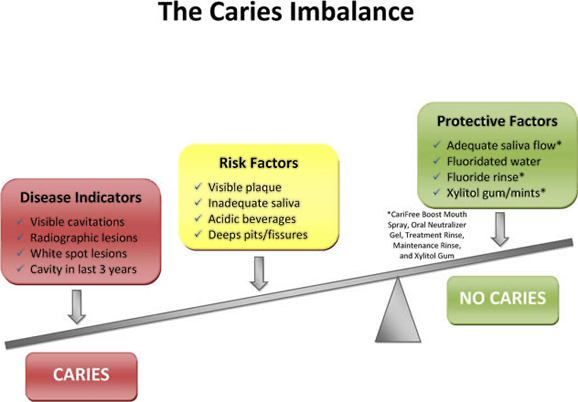 He further modified this model based on his clinical research to include disease indicators (see The Caries Imbalance). His risk assessment method has been validated in clinical trials and has been adopted with his permission by CariFree.